RPA - The army of one performance managing & eliminating risk. Who is the most important person in your company: the CEO, the chairman or even the IT manager? Today’s organization has evolved. Metrics and KPIs rule monthly objective meetings. Data shouts loudly while wordy informational updates fall on mostly deaf ears. Those employees who can produce charts, graphs and metrics – backed up by data sourced in real time are becoming the go-to resources at work. Data Officers are becoming the new hero-employees, but little thought is given to the future employee who will manage an army of robotic processes that are undertaking the tasks that simply are too important to fail. Robotic Process Automation (RPA) has arrived and is staking its claim as the most important technology your IT team isn’t even discussing. Having worked in IT for over 25 years I’ve seen countless requests for great technology that solves important problems, often to ensure users are productive and efficient. What IT is lacking is the view of the employee working in back-offices, on legacy systems, in largely monotonous roles. These employees can be guaranteed the latest virus protection, a well-oiled help-desk ticketing system and access to the corporate intranet because that’s what IT thinks its staff needs. Middle-management understands the problem of the legacy system that can’t be replaced just yet and they understand the difficulty of producing documentation for tasks that can only be accomplished when the employees have the time to complete them (a task that is often way down on the list of priorities). The idea of a fully mapped out process model and performance metrics are nice in theory, but to the time-poor manager, the importance of simply getting the job done is too great. The charts created by the data officers simply pull the reports from the latest MIS but little thought goes into profiling the more manual, labor intensive work. RPA isn’t just about automating monotonous tasks. It’s about end-to-end process modelling, metric defining, performance managing and most importantly, eliminating the risk that every organization is managing. Automation can manage complex tasks that integrate systems where no interfaces are available for programming teams can hook into. They create reporting for ad hoc business processes and provide management insights to help drive productivity and save huge amounts of money. They free employees to focus on skill intensive tasks where judgement is required and they can be used as a gateway to funnel work to expert resources, reliably. Resilience of the business is reviewed primarily when disaster recovery documentation is updated and the risk plan is submitted. Rarely are key employees named and rarer still are measures put in place to ensure that the documentation where available actually matches the process steps in the tasks. This means when these employees leave, when there is sickness in the team or when disaster strikes, companies are left to fire-fight just to get through the day. It’s easy to argue for RPA on a cost and time saving basis but the real value add comes from risk management, process definition, repeatability and performance monitoring. A large-scale deployment of RPA may feature hundreds or even thousands of autonomous bots, and yet the most important element of the system is the employee who defines, monitors and reports on these processes. 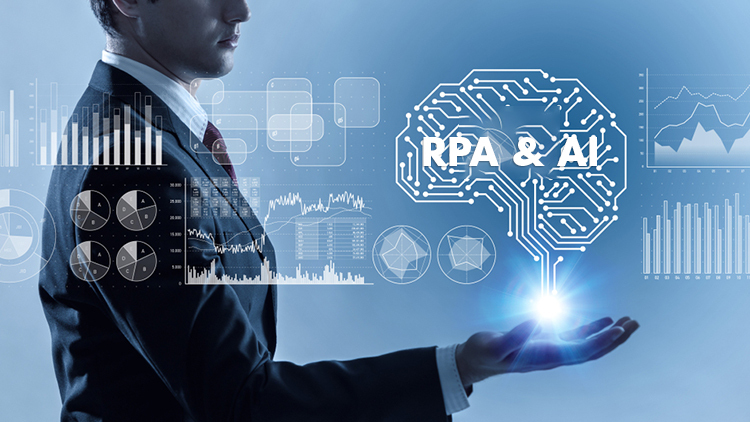 If your company hasn’t thought about the value of RPA through this lens we recommend you take a look at what automation of processes can achieve.